If you can't stand the thought of getting separated from your family pet while traveling, these ideas are for you. Not only do the hotels that made our list welcome well-behaved dogs, cats and other animals, they offers unique services and amenities to make you and your pet feel special. Whether you are planning a quick weekend getaway, a shopping trip to a major city or a longer vacation, here are some excellent choices. Napa River Inn at the Historic Napa Hill offers the Very Important Pet Program which includes special treats and services such as fuzzy gourmet bones, a custom-designed blanket and readily available pet sitters. 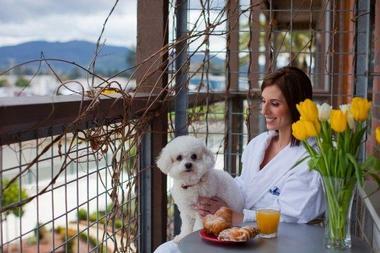 Take your dog for a walk along the riverfront, followed by a massage for you and your pet at the Spa at Napa River Inn. The spa utilizes organic ingredients during massages, body treatments, facials and wraps. 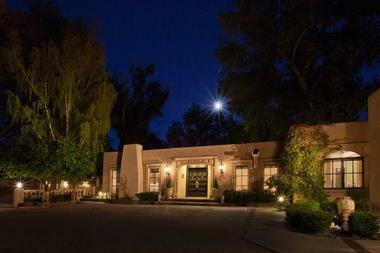 Palacio de Marques is a luxury inn with eight rooms near the historic Taos Plaza. Guest rooms are pet friendly and feature canopy beds, Frette linens and modern decor with northern New Mexican influences. Each room has a fireplace and a marble bathroom. The inn pays tribute to the notable female artists of Taos, including Millicent Rogers and Georgia O'Keefe. 3.The Jefferson in Washington D.C. The Jefferson in Washington D.C. is a beautifully renovated historic hotel with a 1923 skylight in the lobby, 95 luxury guest accommodations, and a spa. The hotel has a resident dog with a special title: the “Executive Canine Officer.” Pets receive dog beds, bowls and treats during their stay. The concierge will provide you with maps of dog-walking routes and a list of nearby establishments that welcome pets. In addition to the Petite Spa, the hotel has a fitness center with access to a pool, free Wi-Fi, complimentary EV charging stations in the parking garage, and a cozy Book Room with a fireplace. Guests have access to 24-hour in-room dining, butler service, Clefs d’Or Concierges, and complimentary car service. Rooms start at $575 per night (Phone: 202-448-2300). Hotel Lucia in Portland, Oregon is stylish pet-friendly getaway, featuring the world’s largest collection of photographs by David Hume Kennerly. Ask about the art-filled Gallery Suite with a bedroom, two baths and separate living room with a dining table, wet bar and fireplace. The hotel has a fitness center, a pillow menu, a spiritual menu, iPods, and special pet amenities for pampering your companion. Pets receive a pet bed, a toy, treats and a list of local business that cater to pets, from pet acupuncture to psychics. Pet room service menus ensure that your dog will be well fed on vacation. Imperial restaurant serves soulful cuisine prepared on a custom-made wood-fired grill. Portland Penny Diner offers foods inspired by Pacific Northwest immigrant food cultures and has scrumptious grab-and-go options. A $45 fee per stay is applied when booking a pampered pet room. Rooms start at $267 per night (Phone: 503-225-1717). Tenaya Lodge in Yosemite National Park is ideal for exploring the beautiful outdoors with your dog. Your dog will enjoy a plush dog bed and water bowl for use during your stay. The Canine fact sheet features fun suggestions on areas to explore on your getaway. Two well-behaved canines per room are permitted for a fee of $75. Pet Rooms cannot be booked online. Reservations may only be made by phone at 888-514-2167. Royal Pacific Resort in Orlando will pamper you and your pet. The Loews Loves Pets program at Loews Hotels makes it possible for owners to bring pets along with them. Loews Hotels in the US and Canada offers pet-friendly amenities, including gourmet room service, specialized bedding and more. 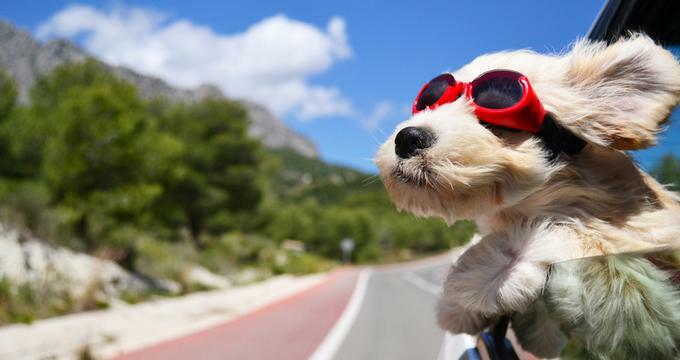 According to the American Animal Hospital Association, nearly 62% of American pet owners travel with their dog. To respond to this demand, the hotel chain created the Love Pets program. You will receive all the essentials to keep your pet happy. The Vegabond’s House Bed and Breakfast Inn in Carmel, California is an eco-conscious pet-friendly romantic getaway. There are eleven unique rooms available, all with fireplaces, private baths, private entrances and a distinctive English country ambience. Room Eleven is a newly remodeled King suite with a freestanding tub, a showerhead that plays music with Bluetooth technology, and heated marble bathroom floors. Room Two is a large room with a king size bed, a kitchenette, a deep soaking tub with shower, breakfast table, and a gas fireplace. All rooms include fireplaces, robes, free wireless Internet, refrigerators, telephones, concierge services, and evening wine and cheese. The spa offers massages, body scrubs, and masks. When you’re done relaxing at the hotel, venture out to whale watch at Pt. Lobos, hike through Soberanes Canyon, and visit the jellyfish, sea dragon and sunfish at Monterey Bay Aquarium. Stop at The Cheese Shop for a unique shopping and culinary experience. Rooms start at $175 per night (Phone: 831-624-7738). Hotel Monaco in downtown Seattle is making it easier for pet owners to travel with their four-legged friends. Canine and feline guests are checked into a VIP register upon arrival and can order from their own Room Service Menu. Guests receive a list of pet-friendly restaurants, parks, city transportation information, and shops that cater to pets. If you left your home in a hurry, you may have forgotten a leash. Don't worry - the staff can lend you one. Other complimentary services include use of a crate, dog bowls and a litter box (with free litter). If it rains, something that this city is famous for, you will get monogrammed dog coats for complimentary use while staying here. On property sitting, toys and snacks are readily available. You can go out for a business meeting or shopping with a friend while your dog is looked after by the staff. Leave it to the The Prescott in San Francisco to pamper your pet. This luxury Kimpton Hotels property in Union Square will help your pet feel at home with amenities such as special treats upon check-in and a freshly laundered faux sheepskin pet bed. When you decide to take your dog for a stroll, a handy dog leash and a supply of disposable clean-up bags is provided by the hotel. Pets also get pet food and bottled water, as well as food and water bowls. The Kimpton Hotel Group understands that a growing number of travelers are bringing their pets with them when they travel. Whether it's on a business trip or a family vacation, people are no longer leaving their four-legged friends at home. All of the Kimpton Hotels are completely pet friendly and are equipped to ensure that both guests and their pets have an enjoyable time. It is recommended that you notify the hotel ahead of your arrival that you a bringing a pet. All hotels offer complimentary pet treats, bowls, mats, beds, pickup bags and tags with hotel contact information on them. Feel free to pamper your pet with one of the numerous special packages like doggie day care or, for a really stressed out pet, a pet massage.